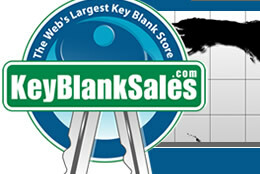 Ilco KK7-PT Key Blanks. Wholesale Kia Keys. Once you understand how to check the profile, Click Here to find this key under Kia. This key requires a high security key machine found at most local automotive locksmiths and better hardware stores. This key can only be added to your vehicle via a diagnostic tool. The LXP90-P key blank shown at the bottom of this page contains no transponder and will do everything but start your vehicle.